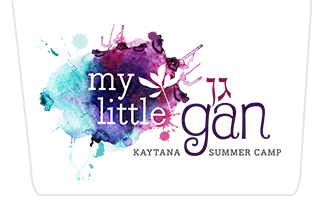 We are excited to announce ‘My Little Kaytana’, summer program, a nurturing, supportive, and action packed, summer camp at My Little Gan for children ages 2 1/2 -5. Your child will laugh, play and explore at My Little Kaytana. Our program offers children opportunities to explore through the various arts in an experiential, and Jewish atmosphere. With outdoor play, Shabbat celebrations, gym, animals, sports, baking, and so much more, camp at My Little Kaytana` fosters children’s curiosities, and allows them to gain independence, in a safe, fun environment. Every member of our staff is committed to providing a secure setting, with the love and dedication with which our campers thrive. Our beautiful and spacious facility includes an outdoor space and is easily accessible to families in Hoboken, Jersey City, and surrounding neighborhoods. Located on the ground floor of the Monroe Center for Arts we are just minutes from the light rail. Our schedule includes outdoor water play, and ‘trips’ that come to us! Nutritious snacks & lunches are served daily. Questions? Email office@mylittlegan.com and we will get back to you as soon as possible!